Abortion foes know Americans want choice to stay legal, so they’ve shifted their strategy to reduce access and demonize providers. Anti-choice zealots murdered abortion care providers long before doctored “undercover” videos misled the media into covering the question of whether Planned Parenthood “sold” baby parts. It doesn’t, and never did. 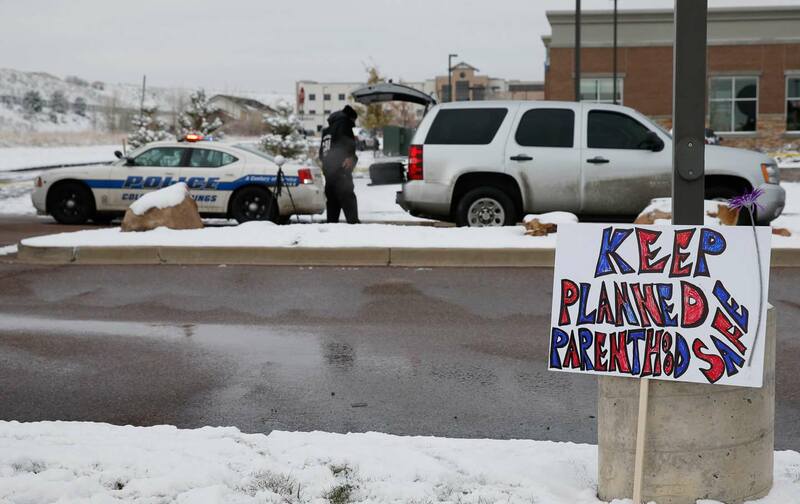 Yet alleged Colorado Springs shooter Robert Lewis Dear used the phrase “no more baby parts” after the police arrested him for killing three people and wounding six others in an attack on the local Planned Parenthood clinic the day after Thanksgiving. How do we make sense of that? We don’t know whether the video-inspired controversy caused Dear to take up arms against the clinic. But it allowed Republicans to wave the flag of righteousness even as they (belatedly) condemned the violence. And it showed the way anti-choice forces have responded to losing the debate over abortion: As polls consistently show Americans believe abortion should be legal, opponents have shifted their focus from making it illegal to restricting access to it. Now they’re demonizing the people who provide the access in the ugliest of ways. To most Americans Planned Parenthood is a respected women’s healthcare provider, one that offers cancer screenings, STD and HIV testing, and contraception along with abortion (which makes up roughly 3 percent of its healthcare services.) Abortion foes think of it as an abortion factory–and since the misleadingly edited Center for Medical Progress videos, one that profits from the “sale” of “baby parts,” rather than accepting reimbursement for preserving fetal tissue that’s been essential to medical research and advances in treating chicken pox, rubella, and polio. You’ve got to give the right-wing group credit: The argument made by its phony videos represents the ultimate way to demonize an opponent: Planned Parenthood doesn’t just blithely murder infants; it does so for money. The videos didn’t hurt Planned Parenthood’s reputation with the general public. Polls show its respect held steady, or even climbed a bit, in the wake of the ginned-up controversy. But they gave anti-choice forces a new line of argument, and a new level of righteousness. By insisting that the group makes money selling “baby parts,” the video’s dishonest producers took opinions about its services out of the realm of religious or philosophical dispute over when life begins. This debate pits good against evil. Sadly, the media covered the CMP videos as a genuine controversy, long past the point when their deceptive editing had already been well-proven. But the strategy of depicting abortion providers as irresponsible and unconcerned about patient safety went to a whole new level with the CMP videos. They made Planned Parenthood managers out to be profiteers, breaking laws against selling human organs and tissue in order to grow their empire and make themselves rich. In the very first GOP debate, Senator Ted Cruz called the group “an ongoing criminal enterprise,” with no moderator or media pushback. In the next debate, Carly Fiorina falsely claimed that the videos showed “a fully formed fetus on the table, its heart beating, its legs kicking, while someone says, ‘We have to keep it alive to harvest its brain.’” Fiorina’s charge was repeatedly debunked by fact-checkers, but she clung to it anyway. Such dishonest claims have now become a staple of GOP campaign rhetoric. Thus a former Cruz staffer, Amanda Carpenter, could piously tweet that “GOP can believe PP’s actions are criminal and also condemn the shootings. This is not hard,” the day after Dear’s murders. Fiorina went so far as to term Dear an anti-abortion “protester” in her belated remarks on the killings, and to equate him with the Black Lives Matter movement: “Any protesters should always be peaceful. Whether it’s Black Lives Matter or pro-life protesters, ” she told Fox News. To his credit, Mike Huckabee called the shootings “domestic terrorism.” To his shame, he seemed to imply that abortion foes were its real victims, as he tweeted: “The Colorado Springs tragedy is domestic terrorism, especially for those us in the pro-life movement.” Most people would have said, “especially for the victims and their families,” but not the self-righteous Huckabee. A desperate Ted Cruz on Sunday took up a claim echoing around the far-right fringe: that Dear is “a transgendered leftist activist,” based on exactly one published report that Colorado voter registration rolls listed him as a woman. It’s a pretty silly argument for master-debater Cruz, but it shows the right’s determination to deflect blame for the latest murderous assault on an abortion provider. It’s not accurate to say the vocal anti-abortion right is to blame for Dear’s actions; he pulled the trigger. But they are to blame for their own lies, and that’s bad enough.